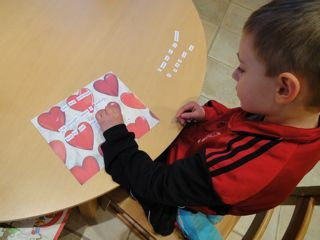 Make a loved one feel special while also letting your child practice word recognition with this activity to make a Valentine's poem. 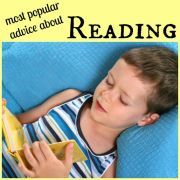 Being good at recognising words will eventually help your child become a fluent reader. 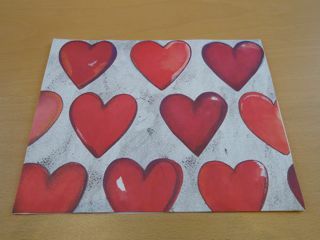 In this simple activity your child sticks the words of a Valentine's poem onto a suitably decorated piece of card. 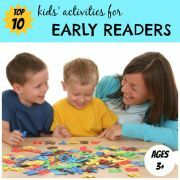 They will practice recognising letters and words while having fun with a glue stick. 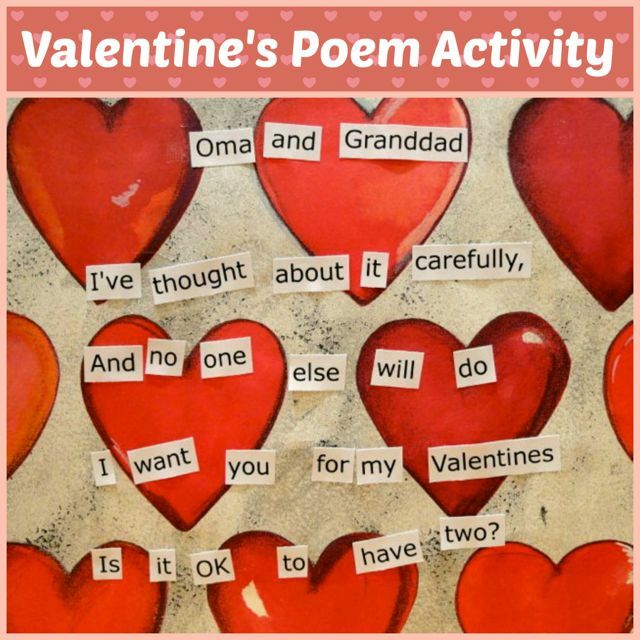 You can choose a poem appropriate to your child's abilities and the recipient of the card. 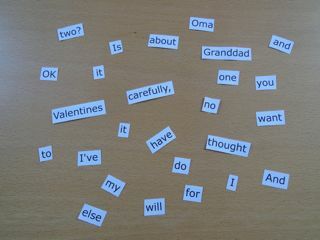 I chose quite a short poem which was destined for grandparents. Gather your materials. 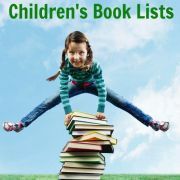 Print out your chosen poem in quite large letters on a piece of paper. 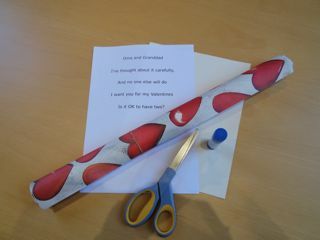 You will also need a piece of card, wrapping paper to cover the card (preferably with hearts on), scissors and glue. Cut out two pieces of wrapping paper the same size as the card and glue one piece onto either side of the card. 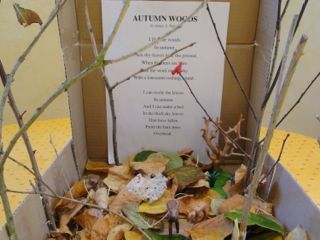 Cut out the letters of the poem, muddle them up and place them face up on the table. 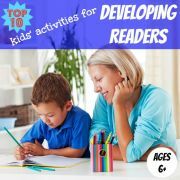 Read the poem to your child line by line and ask them to find the words to make each line, arranging them on the table initially. 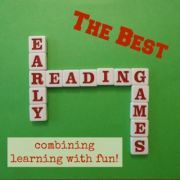 Place a line of glue on the card and ask your child to stick the words on for the first line. Repeat line by line. 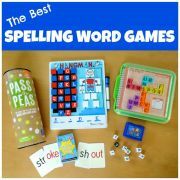 Here are some other ideas for word-based literacy games you can play with your child.